Another weekend’s coming up ahead of us and our top-rated Bitcoin casinos are working hard to bring you fresh new promotions to enjoy if you have some free time. 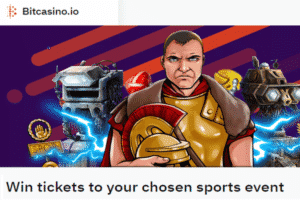 For sports fans and those who like to get some free Bitcoin, Bitcasino is running a new prize draw with cash prizes for 301 players and a free trip to any sport event for two. And for those who like to get some free spin prizes, both BetChain and Cloudbet are giving away hundreds of spins to over 20 lucky punters. Read our full update to learn how you can join and get some free casino rewards over the next few days. Players 148-302 – μɃ 3,000 (€10). The games included in the promotion are NetEnt’s Turn Your Fortune™, Strolling Staxx™, Secret of the Stones™, Wild-O-Tron 3000™, and Victorious™ slots. The casino is also offering a €2,500 compensation for the first prize winner if they don’t want to take the free trip offer. For more information on the rules and rewards, just check out Bitcasino.io. For some free spins giveaways, you can instead turn to another player favorite – Cloudbet Casino. This weekend, the casino is running a new competition on 30 selected slots, including the Eye of Horus, Big Bad Wolf, Blazing Star, and many more games. Between Friday and Sunday, you can earn 1 point for every 1 mBTC you spend on these slot machines to climb up the leaderboard and win a share of 1,200 free spins. The top player gets 280 free spins while the lowest ranking position will win 80 free spins. Pay a visit to Cloudbet Casino to get more details on the offer. Free spins will also be given at BetChain Casino, which will start a new Spin Fest tournament tomorrow. Everything from Blackjack to Sic Bo and slots is included in the competition and there are 4,000 free spins up for the taking. The first three players get 600, 500, and 400 free spins, respectively, while the last spot on the leaderboard (20) will get 35 spins. 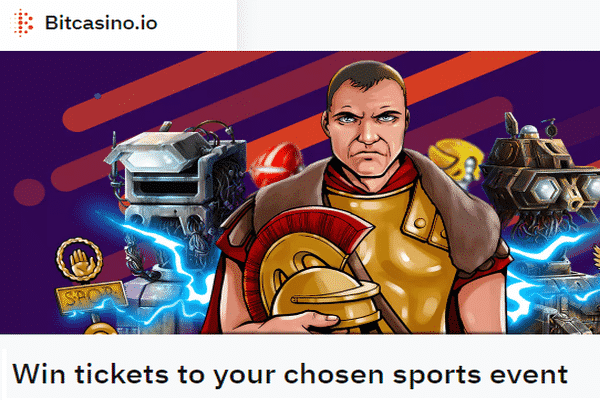 If you’re feeling competitive, just use this link to go directly to BetChain casino and sign up for the offer.